Fashion week is almost upon us. With it, brings the debut of Riccardo Tisci at Burberry and Hedi Slimane at Céline. Before Slimane’s first look has even hit the runway though, Lady Gaga was caught toting around what is rumoured to be the first look at what his offering for the Parisian house will be. 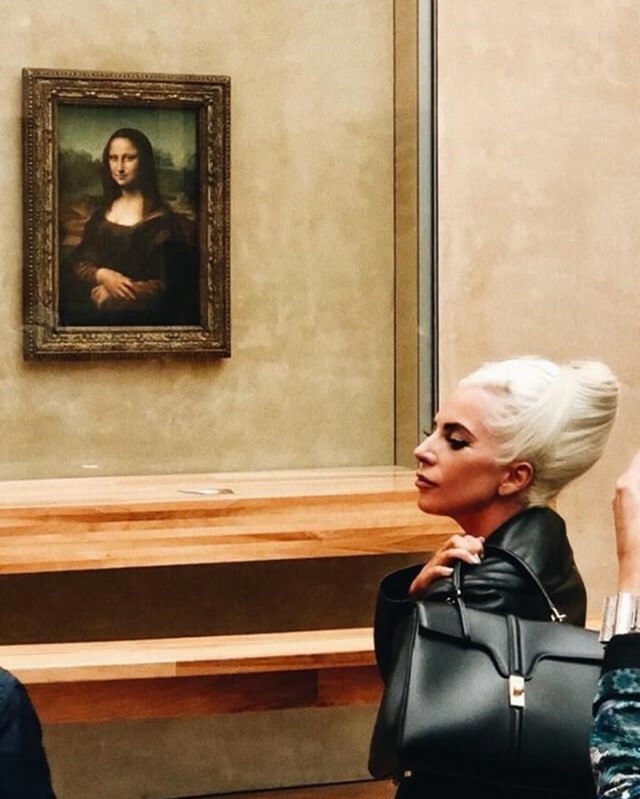 Posted on fan account @hedislimaneworld, the image showed Gaga in front of the Mona Lisa, carrying a minimal black leather bag. The singer paired the accessory with a black leather coat, however, this was courtesy of the late Azzedine Alaïa, from his AW91 collection. You might be thinking, ‘why Gaga?’, but the singer and designer are longtime friends. Not only did Slimane photograph Gaga for the Fame Monster album cover, she was also the first person spotted wearing a full look of the designer’s Saint Laurent designs. We reached out to Céline, who would neither confirm or deny whether the bag is in fact designed by Slimane. For now, it looks like all sneak peeks will remain a mystery, until the debut show on September 28. UPDATE: Lady Gaga’s stylist has confirmed to the Business of Fashion that the bag is from Hedi Slimane’s debut Céline collection.